A friend I met on a muzzle loading forum about 15 years ago just recently got back in to taxidermy. He had a shop a few years back, but stopped doing taxidermy for hire, continued to mount his own deer. I had seen his mounts and was pretty impressed with his work. 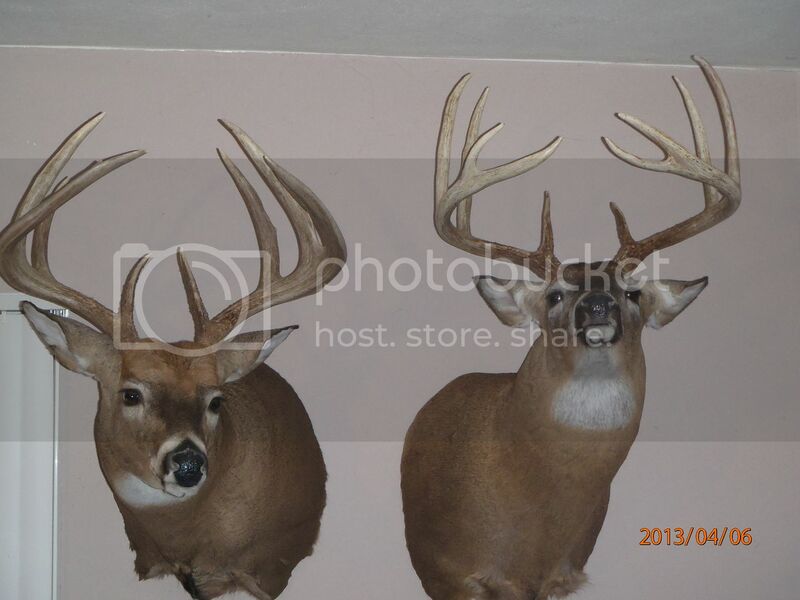 I've got a bunch of racks laying around, so I took 5 down to him. He texted me about a week ago that the first one was finished. So I arranged to drive down after work yesterday to pick it up. He lives about an hour away, work is halfway there. When I got home, I quick hung the two side by side on a wall and snapped a couple of pics. I'll relocate them when I decide where I want them. Can't wait for the other mounts to be done. The one on the right is the one I just picked up from Jim. Very nice. 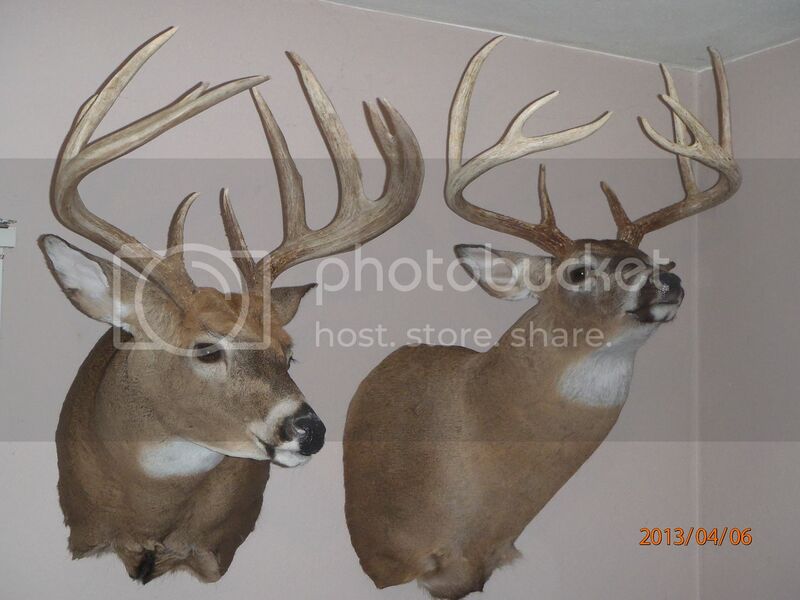 I love to see a head turned to emphasize the rack's characteristics. Me too!! those look great.